Ahir va ser Sant Eloi, patró de tots els joiers i treballadors del metall. Amb un dia de retard, feliç Sant Eloi! 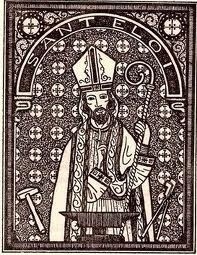 Yesterday was Saint Eloy, patron of jewelers and all the people that work with metal. I’m one day late but Happy Saint Eloy’s Day!